Helping to strengthen and lengthen the lashes, Divine Herbal have created the mildly formulated Divinelash; a serum that’s gentle enough to use around the sensitive eye area. Utilising the vitamin-rich properties of carrot, apricot, wheatgerm and eleven other fortifying plant extracts, this fragrance-free, 99.7% organic serum delivers a daily boost of nutrients, which help to reduce breakage, and encourage stronger and more rapid eyelash growth. For best results Divine Herbal’s director and product developer ‘Syed’ recommends allowing at least 3 months to see the full effects of the product, as the eyelash growth cycle itself takes approximately 3 months. “I use it myself on just one side and not the other. My main reason for doing so is so that at beauty shows I can demonstrate to customers stopping at our stand how it works. All I have to do is close my eyes and ask them to tell me which side – right or left they can see a difference in length. The vast majority of people can easily point out the correct side I am using it on”. 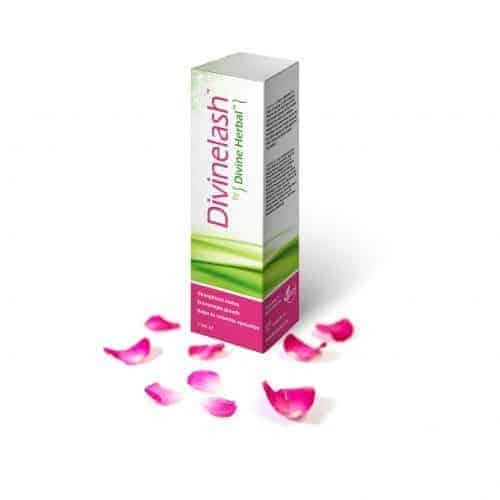 Divinelash follows on from the success of previous products: the ‘Hair Oil’ – for hair loss, the ‘Facial Treatment Serum’ for pigmentation and anti-ageing concerns, and more recently ‘Divinebrow’ which was the first British-made, organic eyebrow serum with a 60-day money back guarantee. The Divine Herbal story started in 2010 when the ‘Hair Oil’ was launched to the public. Almost 8 years later it is still the brands’ biggest selling product in over 130 salons & pharmacies nationwide.